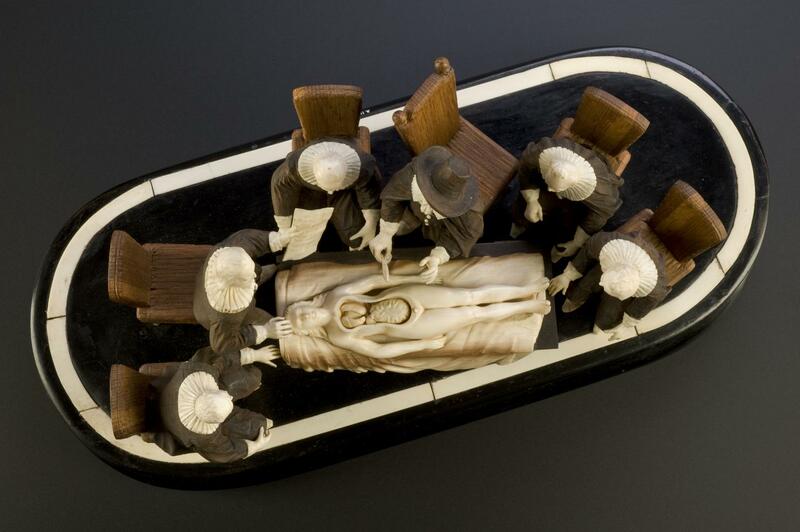 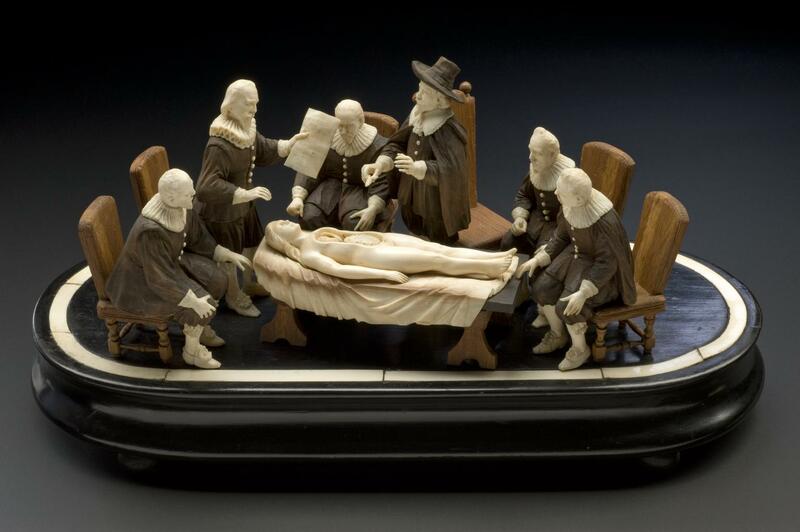 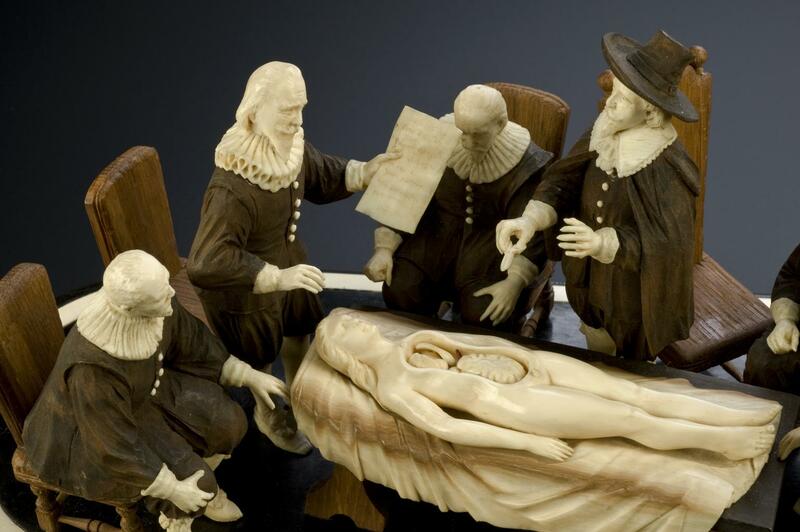 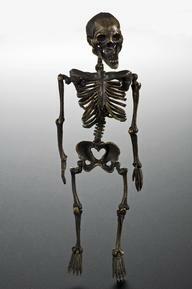 Wood and ivory figure group representing an anatomical demonstration by Nicholis Tulp, based on Rembrandt's painting "The Anatomy Lesson"
This model represents a demonstration by the Dutch anatomist Dr Nicolaas Tulp (1593-1674). 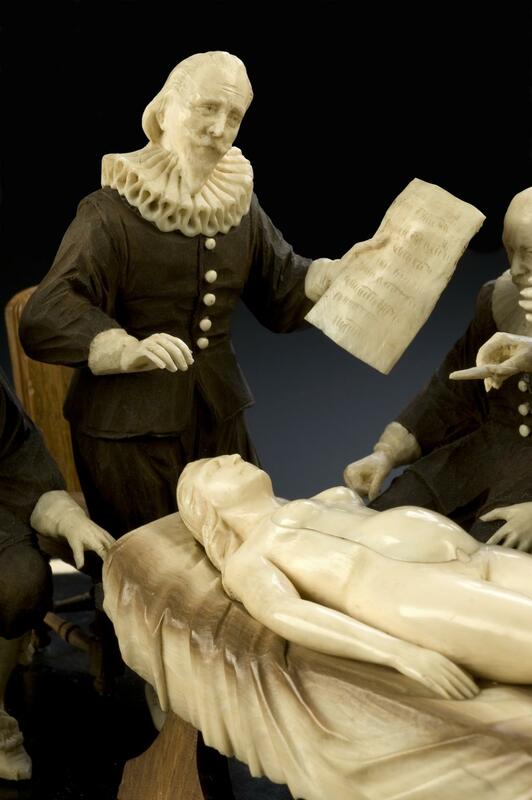 Tulp is lecturing to an audience while dissecting a female corpse. 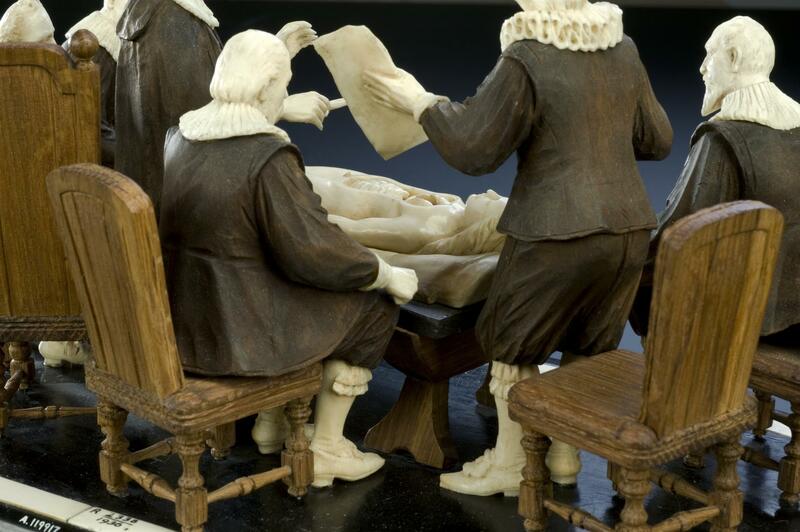 The figure group is made out of wood and ivory and is loosely based on the 1632 painting 'The Anatomy Lesson of Dr Nicolaas Tulp' by Rembrandt van Rijn (1606-1669).